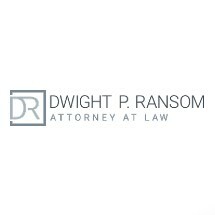 Located in Neptune, New Jersey, Dwight P. Ransom Attorney at Law has handled personal injury, criminal defense and traffic law, as well as business and real estate law matters for more than 35 years. Following the lead of our founding attorney, our law firm believes in working with our clients in a no-nonsense atmosphere where we will not overpromise and under deliver. Instead of picking only cases we think will be easy to win, we take on the hard cases and fight for our client's individual rights tooth and nail for the best possible outcome. We are in a partnership, and full disclosure and clarity are crucial to the success of our case. Once we have all the facts, we then determine an effective strategy based on decades of working cases here on the Jersey Shore. Dwight P. Ransom knows the other lawyers and all the judges and will tailor your case for the optimum chance for success, whether it is a protracted personal injury case, a complicated business matter or a workers’ compensation appeal. If you have been involved in a slip-and-fall injury or another personal injury due to the negligence of someone else, it is crucial to speak with an attorney who can work toward getting you the compensation you deserve. This can help cover mounting medical bills, loss of pay because of time away from work and other damages. Perhaps there is even a permanent injury that impacts your ability to work. Whatever the legal issue, you need a legal advocate on your side that can make sure you are protected to the full extent of the law. Call our law firm today to arrange a free consultation with attorney Dwight P. Ransom.